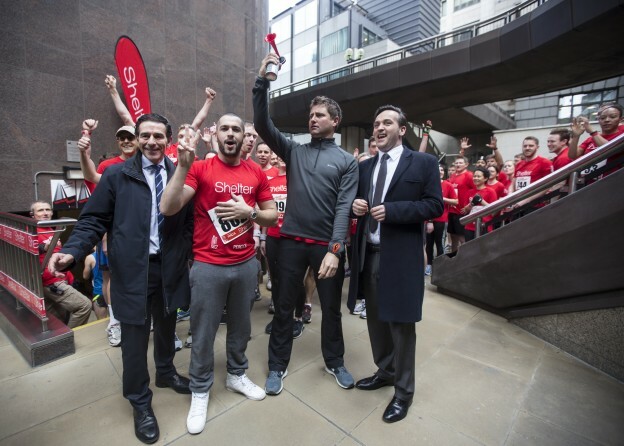 Tower 42 played host to the UK’s tallest and toughest tower-running challenge Vertical Rush earlier this month. The event was held in aid of Shelter, and aimed to raise £250,000 which will make a huge difference to the charity’s emergency helpline as it struggles to keep up with growing demand. Tower 42’s very own Harrison Atkins, Peter Shore and Daniel Harris joined teams from Squarepoint, Tullett Prebon, Crowell & Moring and nearly 1,000 runners, including the global top 10 ranked athletes, a celebrity duo of TV personality George Clarke and X Factor’s Shayne Ward, and a professional football freestyler to take on the all 932 stairs to the top. The elites included 73 year old Orival Martins – the oldest person to ever attempt Vertical Rush – who flew all the way from São Paulo in Brazil to take part. In spite of his jetlag, Orival still managed to finish with an impressive time of 11 minutes 52 seconds. Shelter has experienced a 40 per cent increase in the number of calls received by its helpline compared with the previous year and, at a time when more than 31,000 people in London are at risk of homelessness, the money raised is more vital than ever. 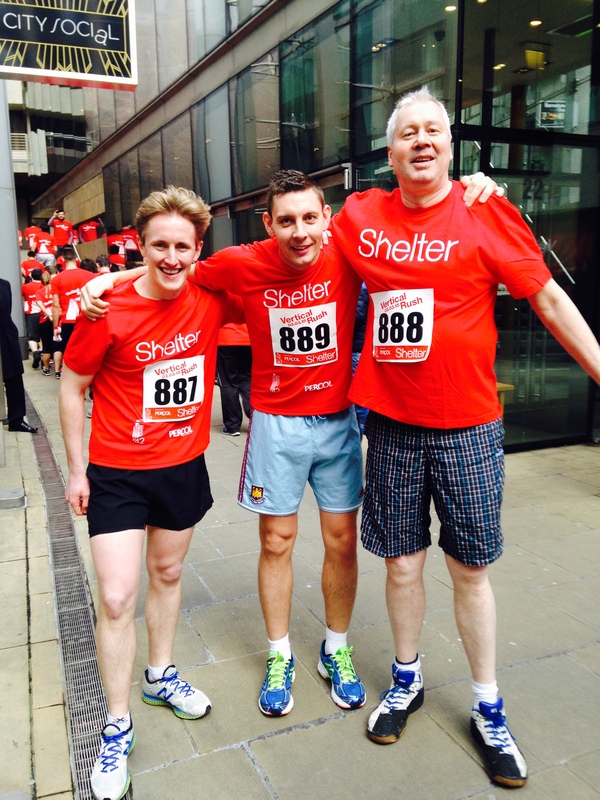 Over the last seven years 5,600 runners have taken part raising over £1.6million to help families facing homelessness. 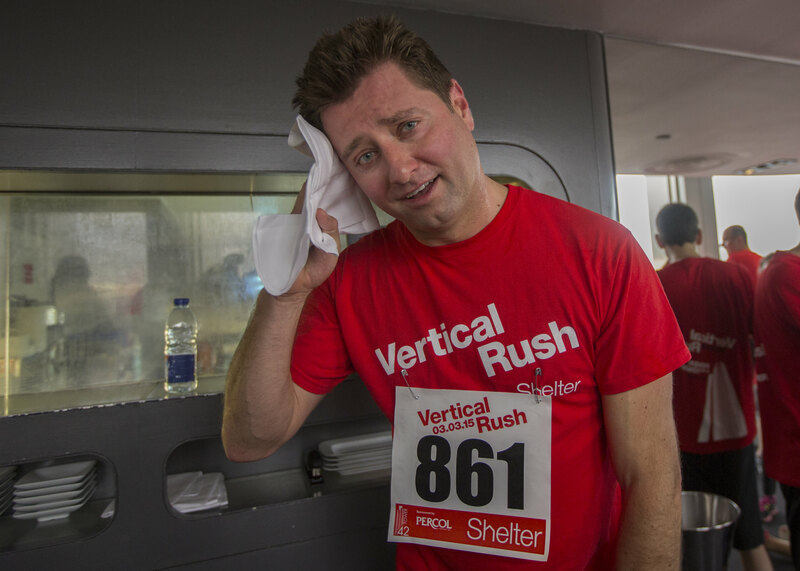 Vertical Rush has become a key event in the world of stair running – the latest trend in endurance sports – and is part of the 2015 Vertical World Circuit, which includes races to the top of the Empire State Building and the Taipei 101 tower in Taiwan. This entry was posted in Uncategorized on March 20, 2015 by sh6yw.